A friend and I hosted a beer tasting event the other night and despite small sample sizes in both beers and drinkers we crowned the Best Beer in the West. 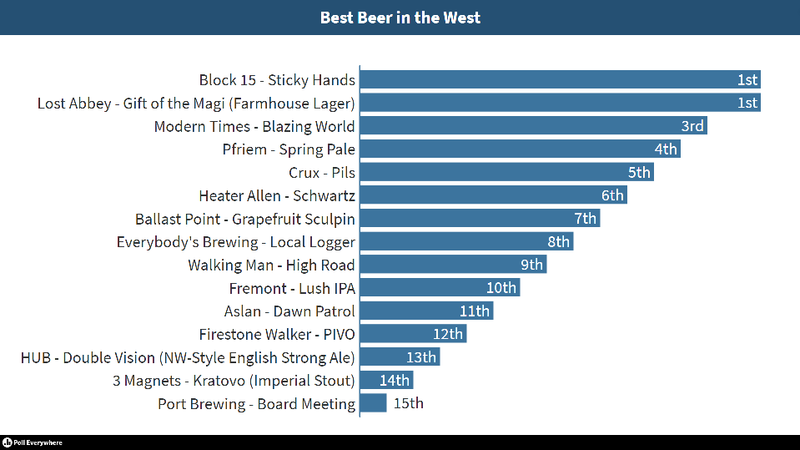 Actually we split the title with Sticky Hands by Block 15 taking the "Best Beer " portion and Gift of the Magi by Lost Abbey taking "n the West". They are congenially splitting the middle "i" and a collaboration brew is sure to follow. We served up five flights of beer with representatives from Washington, Oregon and California in each one. As each flight was enjoyed, our increasingly malleable samplers ranked the three beers on their phones to the best of their abilities. 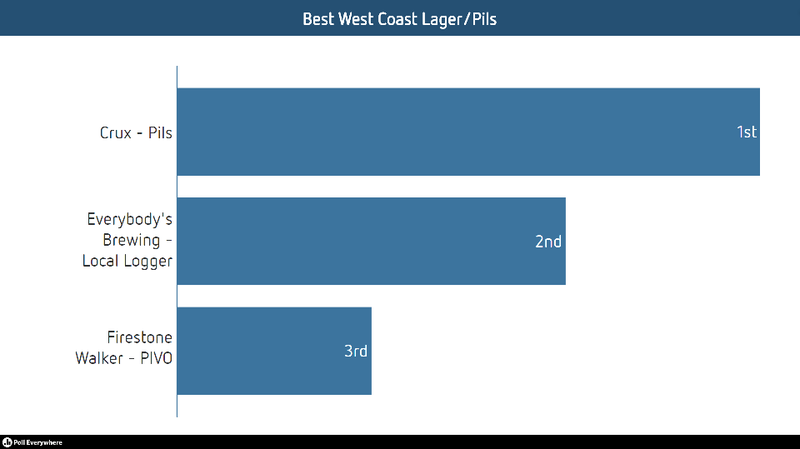 It wasn't a shock to see Crux Pils came out on top of the lager flight, but I did not expect to see Firestone at the bottom. 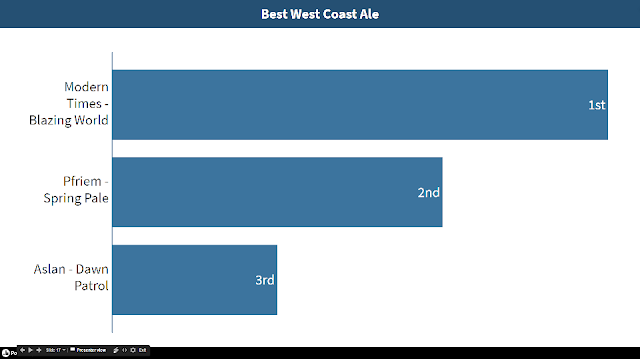 The group didn't enjoy the extra hoppy aspect and voted for the more traditional lagers. This was the first surprise of the night. 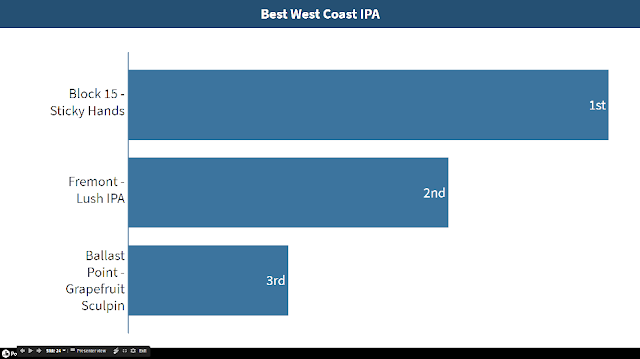 When picking out these beers I didn't see any way that Pfriem wouldn't win. When have you ever had a Pfriem beer that wasn't awesome? You haven't. That being said, Modern Times knocked it out of the park with Blazing World. 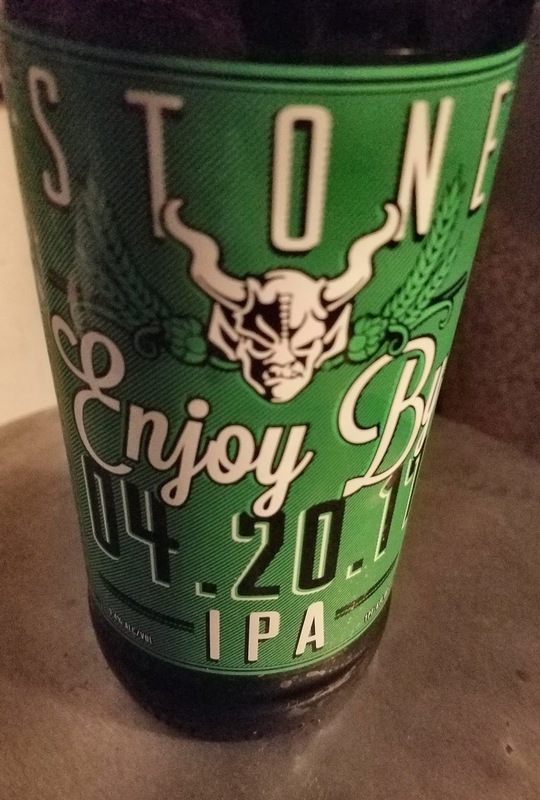 Hoppy-Dank-Amber, simply described and beautifully brewed. Not too sweet, like I find many ambers, with enough dank, hoppy aroma to make it interesting without turning off those who find IPA's too bitter. This beer also struck a chord with the design wonks present as they loved the can and kept referring to it through out the night. Sticky Hands came in first here and overall. Our taste buds both won and lost this round. They went out in a blaze of glory. What's funny here is that Port Brewing Board Meeting came in second here, but dead last over all. There have been no claims of statistical significance nor rigor in test and measurement here. The second funny part of this flight was the profuse cursing by the native Scot when we introduced High Road and challenges to pronounce sláinte. What do a Farmhouse Lager, a NW-Style English Strong Ale and an Imperial Stout have in common? Not much, other than the potential to mess you up quick. 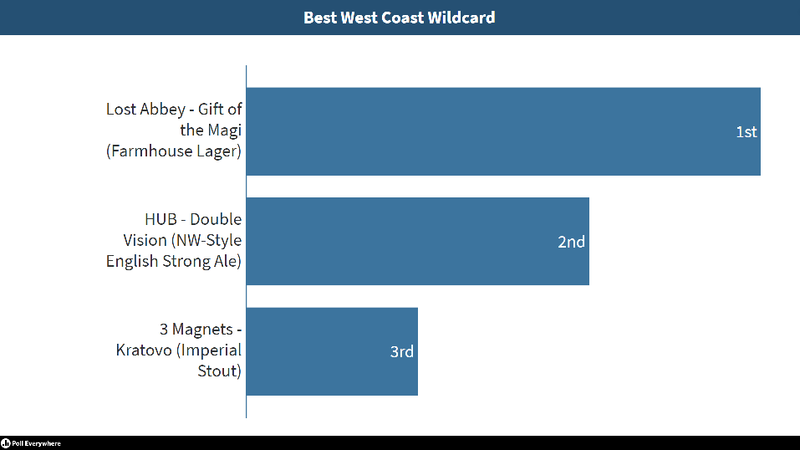 We picked out some fun and interesting beers to fill out our final flight of the night, the wild card round. By this point we needed beers that would still stand out after trying 12 different beers and these three surely stood out. Gift of the Magi ended up tied for first overall, Kratovo (one of my personal favorites) poured like motor oil and HUB's Double Vision literally popped out at you (it came with 3D glasses). didn't fair so well, despite a well scoring Gift of the Magi. Oregon is the Best of the West! I knew this already, but it is nice to have sound statistical analysis (wink, wink) to back it up.